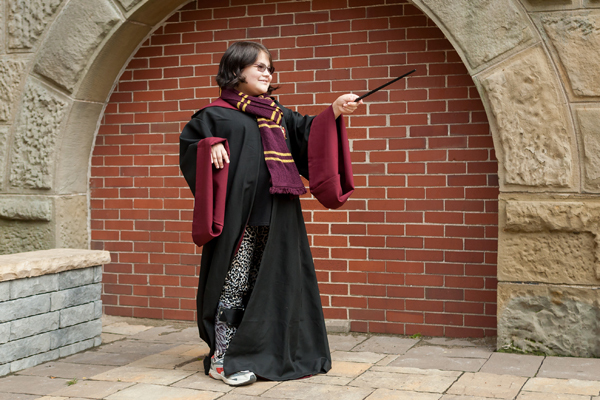 At Sunshine, we encourage children living with severe physical disabilities or life-threatening illnesses to dream big. And then we help make that dream come true. A Sunshine DreamLift is a day of "Yes!" and a whirlwind adventure that transports a plane full of Sunshine Children to a Disney theme park and back home in just one day! For many children, a DreamLift is more than just fun. It’s a day to experience the excitement and adventure of a first plane ride and a taste of independence away from mom and dad. It’s a day to be a regular kid in a magical setting and make memories that will last a lifetime. How does Sunshine define "severe physical disability" and "life-threatening illness"? Sunshine defines "severe physical disability" as a severe impairment including all childhood diseases in which a physical disorder is present (examples include, but are not limited to severe cerebral palsy, muscular distrophy, spina bifida). We define "life-threatening illness" as an illness likely to lead to death during childhood or early adult life. Children with primary global delays are not eligible. How does a child qualify for a Sunshine DreamLift? What other types of dream fulfillment work does Sunshine do? In addition to fulfilling individual Sunshine Dreams, Sunshine organizes DreamLifts. These one-day whirlwind trips depart from different locations across Canada and take large groups of children to exciting destinations such as Walt Disney World® in Florida or Disneyland in California. 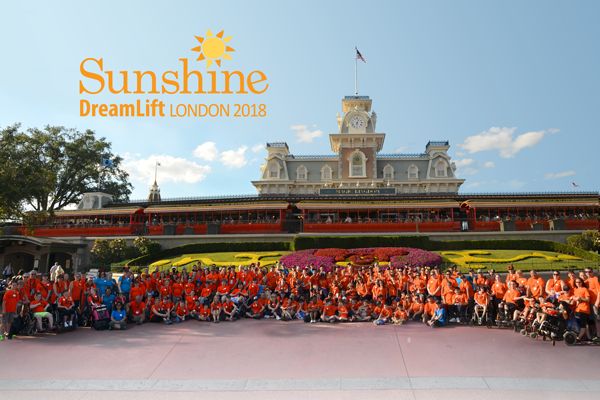 If a Sunshine DreamLift is being planned for your area, you may be able to help us with referrals - and even act as a healthcare volunteer or buddy for the children on DreamLift day. DreamLifts are planned far enough in advance to allow us to give plenty of notice to our referral partners. How is a dream presented to the child and family? Sunshine Dreams are presented to children and their families by dedicated volunteers residing in that area. The local Dream Fulfillment volunteer works directly with the family to arrange the dream presentation and make it special in accordance with the family’s desires. Volunteers may invite people in the community who have a connection to the dream, such as the professional who referred the child and/or a Sunshine sponsor. The local media may also be invited if the family agrees. The volunteer ensures the details of the dream are clear to the family. In the case of a dream gift, it means ensuring that the gift is in working order and the family has the operating manuals. In the case of a trip, it means that they understand the details of their upcoming vacation. With Sunshine Dream trips, which family members are able to take part? Typically, we invite the custodial parents and any school-aged children to take part in a dream trip. In extreme circumstances, when the Sunshine child requires constant care, we may invite a caregiver to accompany the family. For trips to very distant destinations, we may limit the number of family members who can participate. How does Sunshine organize a dream with a family? Dream trips, and some dream gifts, require a great deal of planning to make sure we take care of all the details. We want the child and their family to be able to enjoy the dream as much as possible without having the dream unduly complicated by the child’s medical situation. Careful coordination with Sunshine’s home office and the family helps ensure all the preparations are made to meet the family’s expectations and the child’s needs. Our team at Sunshine makes sure we take care of all the details so you won't have to worry! What happens once Sunshine receives a completed Sunshine Dream application? Staff and volunteer medical personnel review the Sunshine Dream application. Review time can vary, as we need time to consult physicians. For typical dream requests, the family will receive a response within about six weeks. Urgent dreams will receive priority treatment at every stage of processing and dream approval can happen in a matter of hours when necessary. It is crucial that we know which dreams are most medically urgent. Our referral partners can then help us respond quickly to a child and their family. How is the Referral Form different from the Sunshine Dream application? When Sunshine receives a Referral Form, we review it to determine a child’s eligibility. Once eligibility is confirmed, we send a Sunshine Dream Application to the child’s home. The Sunshine Dream application requires more detailed information about the child, his or her diagnosis and dream. In addition, the child’s physician must fill in parts of the Application Form. In the majority of cases, this additional detail provides Sunshine with enough information to go forward with the application. Who can/How can I refer a child for a Sunshine Dream? Sunshine receives referrals from the child, healthcare professionals working with the child, the child’s parent(s) or guardian(s), or healthcare-related charities and foundations. Please contact our Program team for additional information about receiving a dream: Krista.minnice [at] sunshine.ca 1-800-461-7935, ext. 234. How does a child qualify to have his or her Sunshine Dream come true?